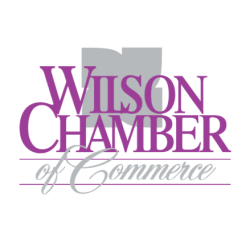 Building a First Website for Small Business Entrepreneurs - Apr 25, 2019 - PublicLayout - Wilson Chamber of Commerce, NC ? Every business needs a website. In this hands-on seminar, you will be guided through setting up a simple website for your business on a hosted platform (Wix or SquareSpace). Simple websites, which can be free, provide information, pictures, and offer contact forms so customers can reach you. You will also learn how to use the website to make appointments and/or to sell products. (Websites that accept payments cost about $25/month.) Attendees should set up an account with Wix or SquareSpace and purchase the domain prior to coming to the seminar. Passwords and login information for the platform and for personal email accounts should be brought to class. Content for the website and pictures stored on your electronic device should also be brought to class. This seminar will be held in a computer lab; however, a personal PC is also welcome.